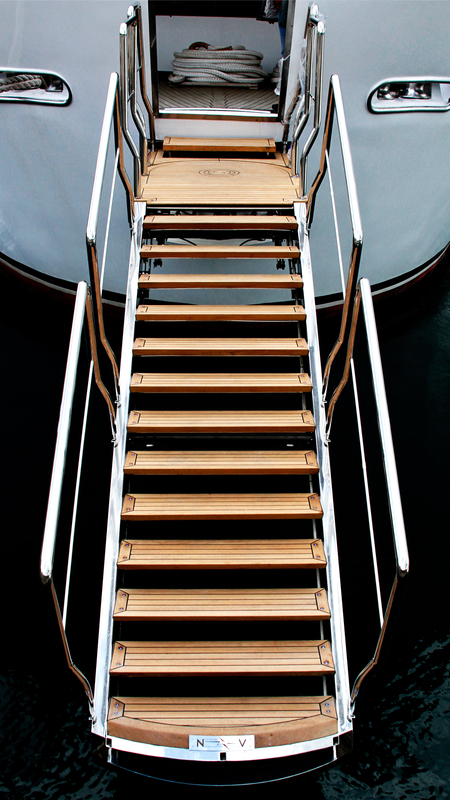 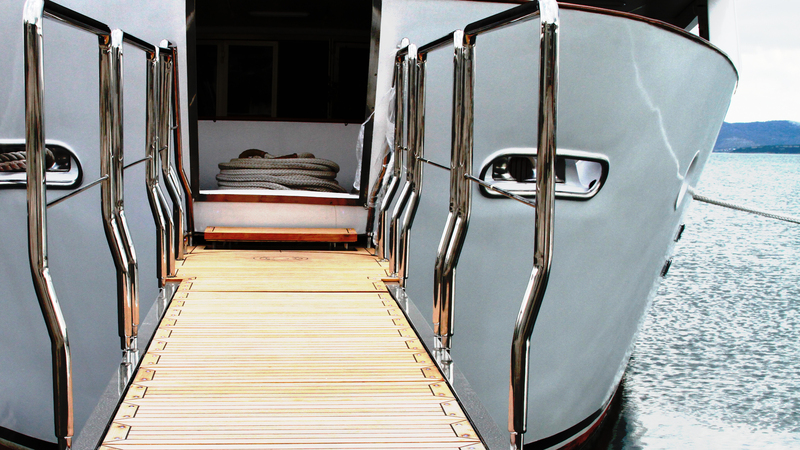 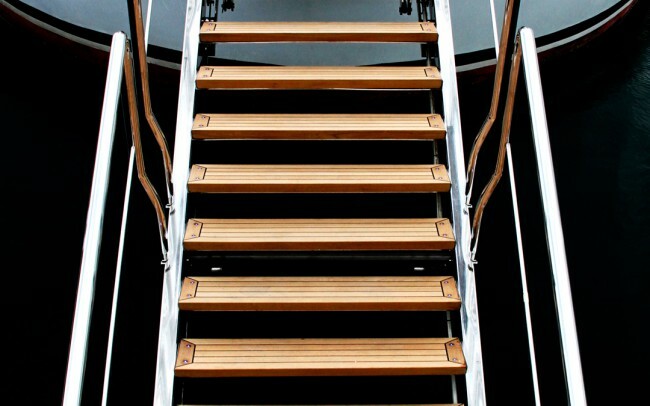 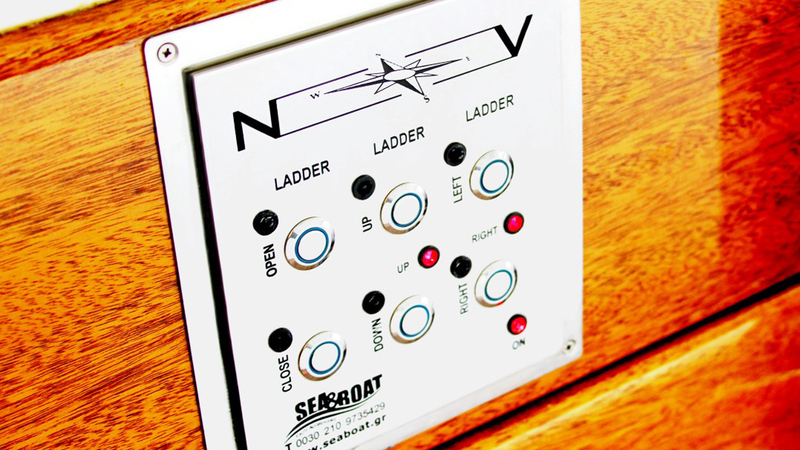 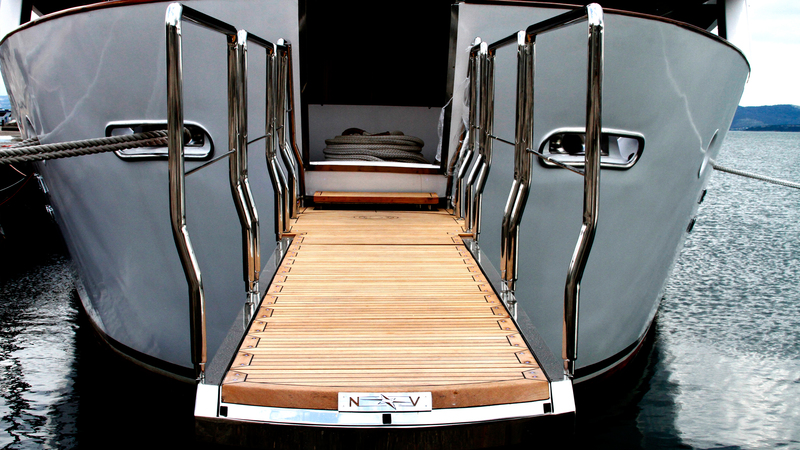 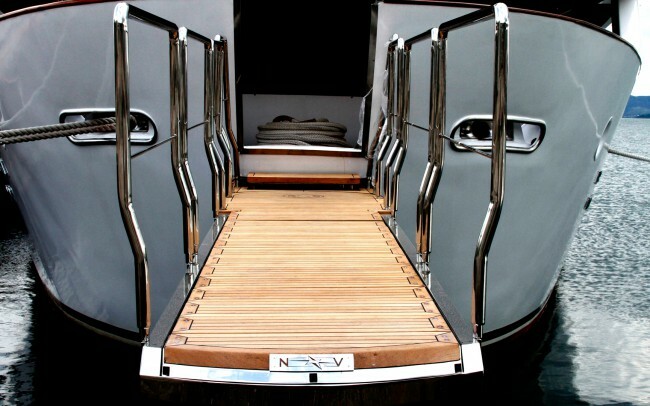 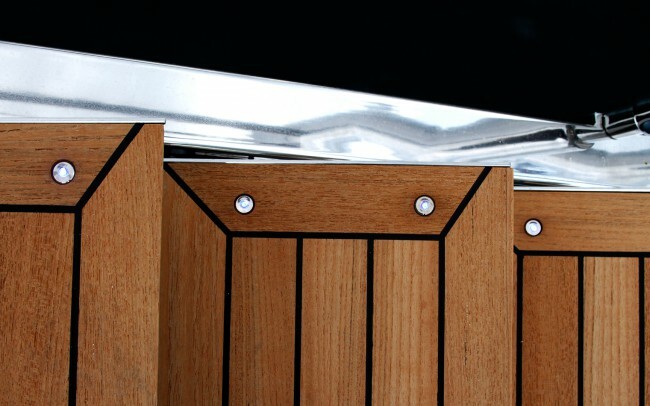 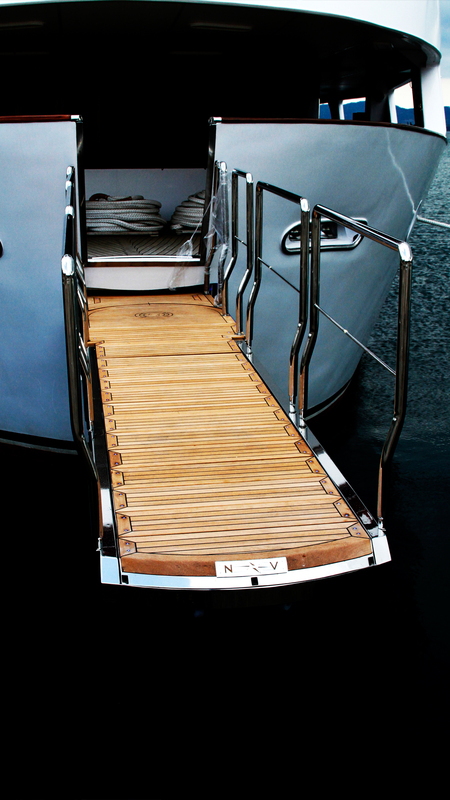 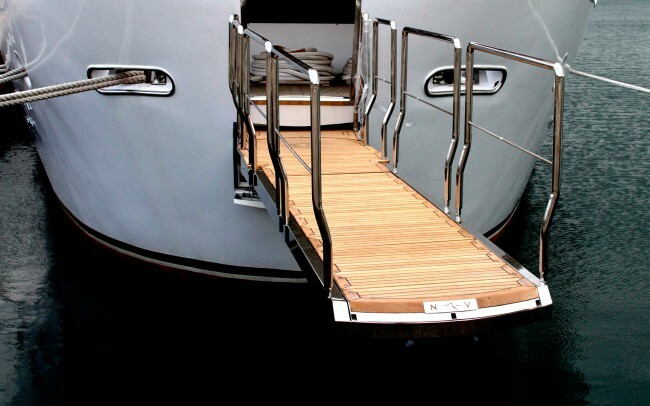 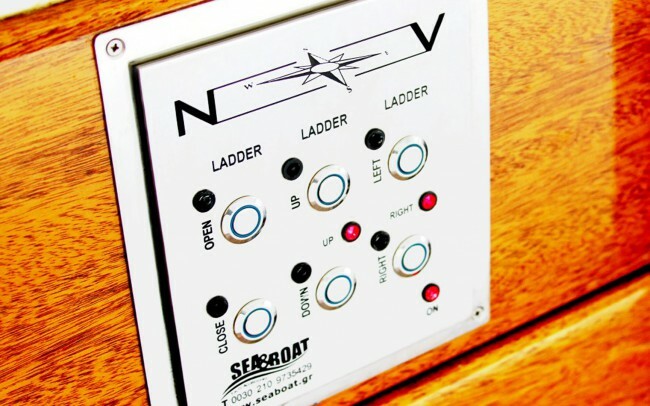 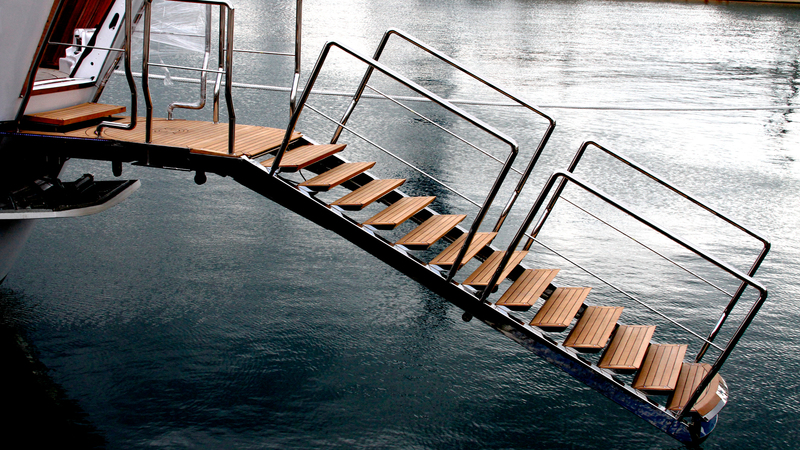 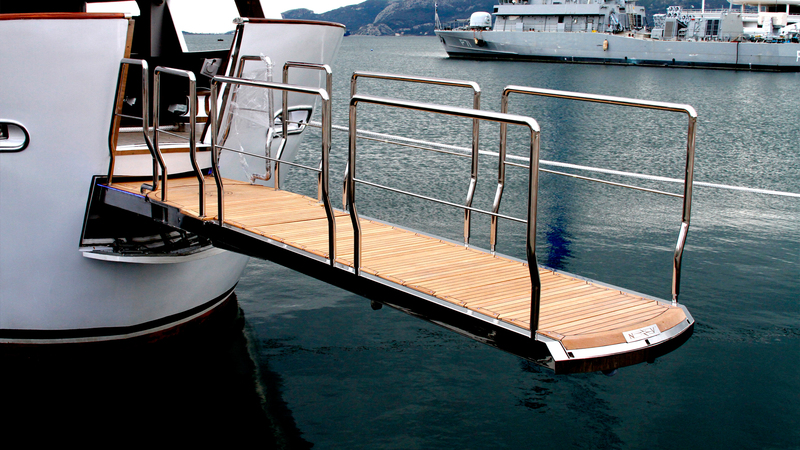 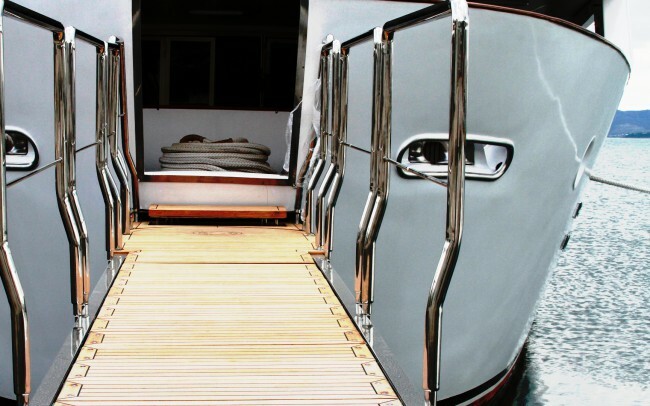 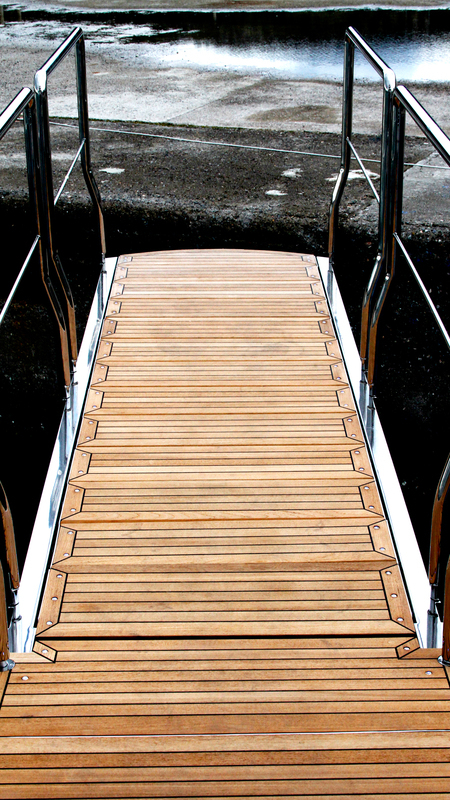 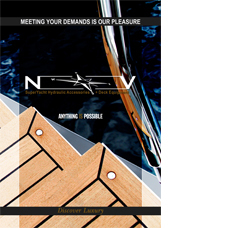 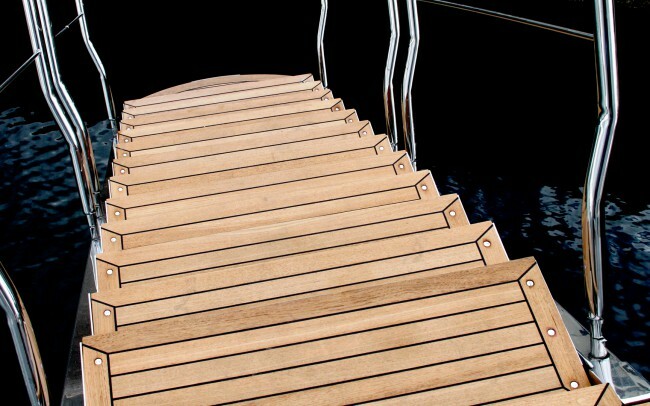 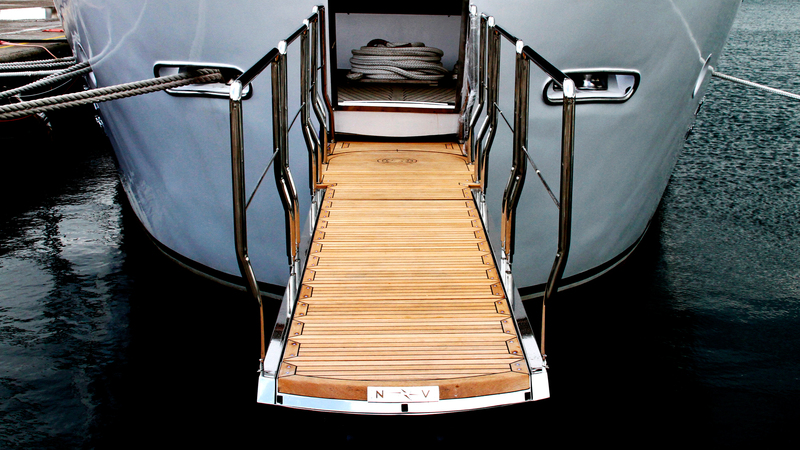 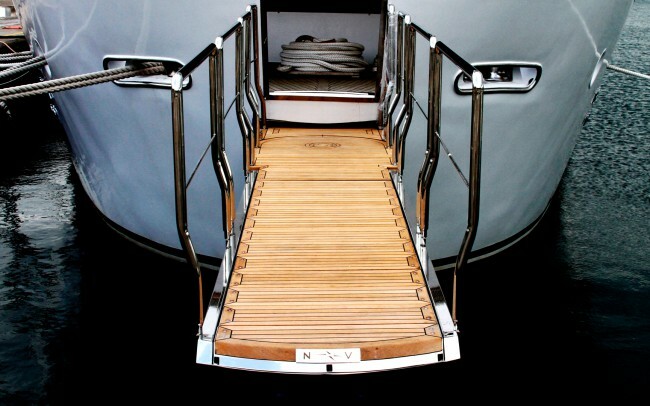 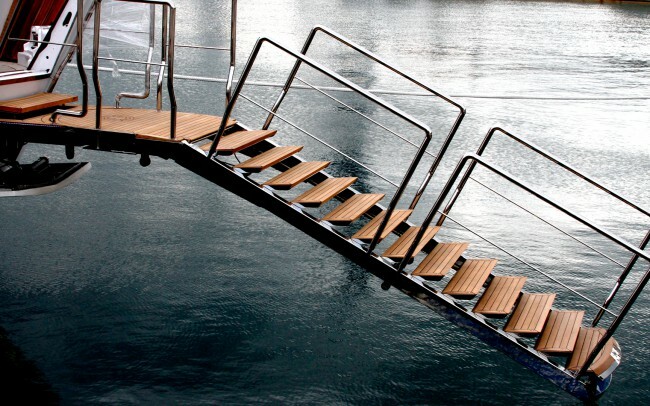 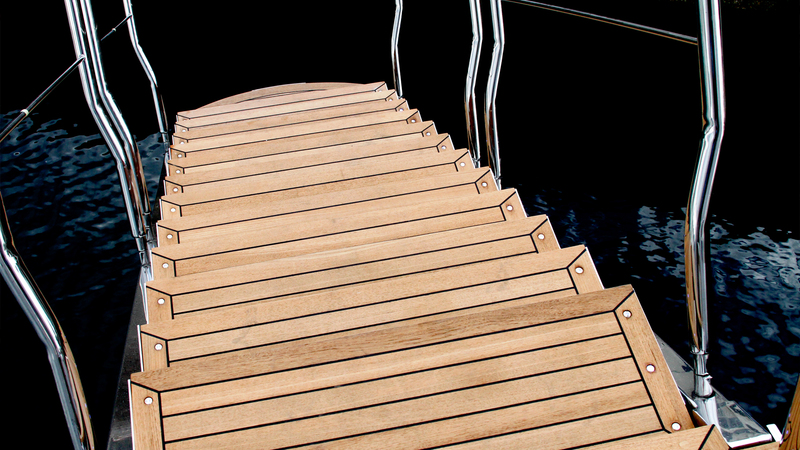 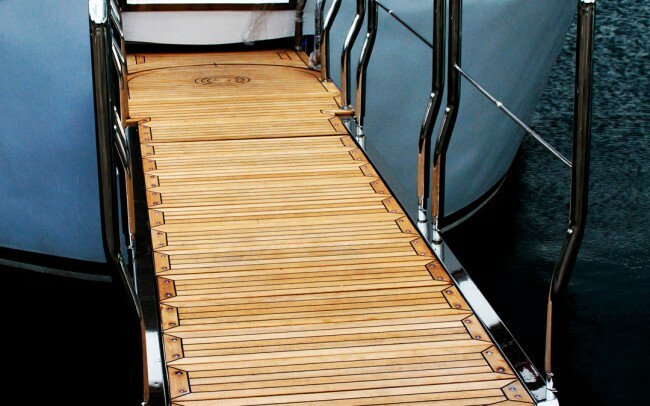 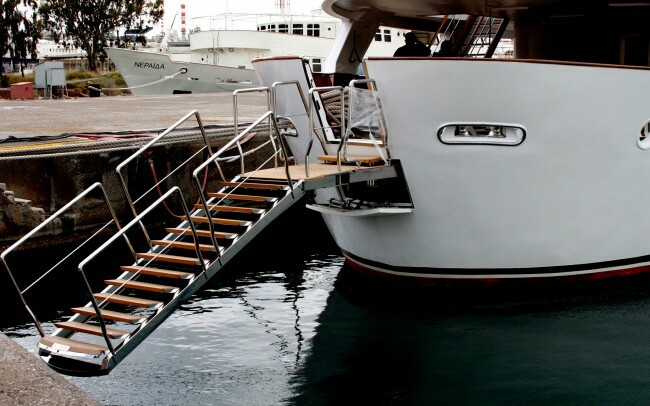 Revolving hydraulic gangway of 6m length + 1m width made of stainless steel, with hydraulically operated retractable steps that transform the Gangway into immersed luxury Swimming Ladder, and with special constructed railings designed to allow the full gangway’s width use and to suit with the yacht’s aesthetics. 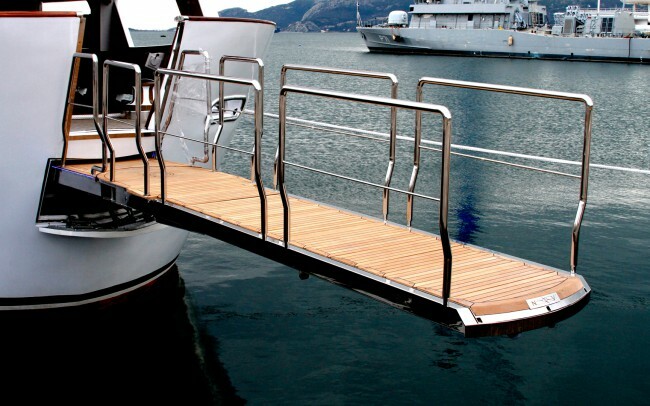 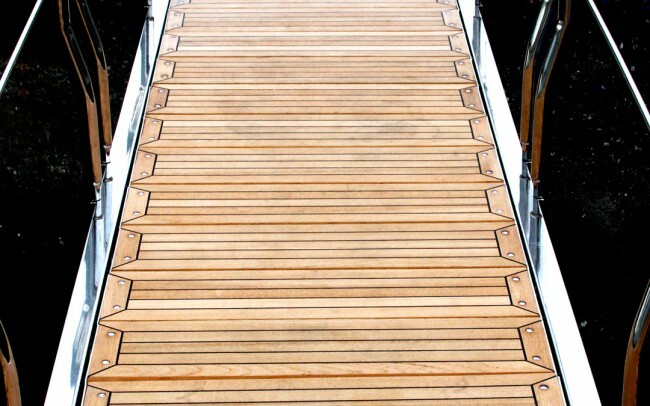 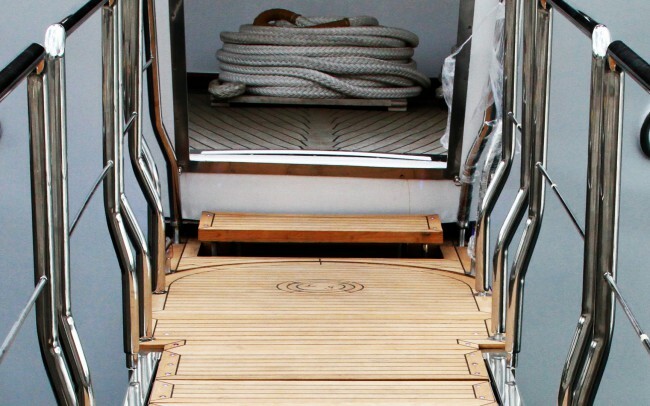 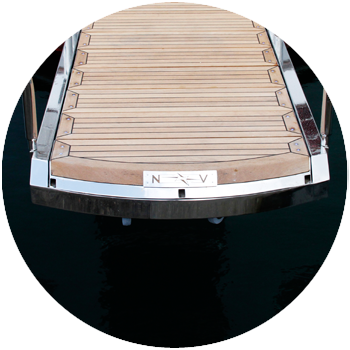 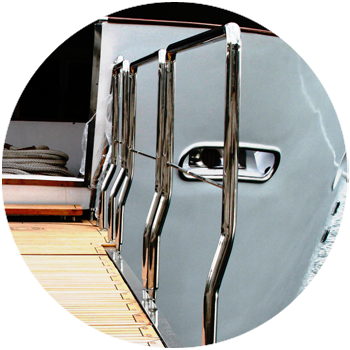 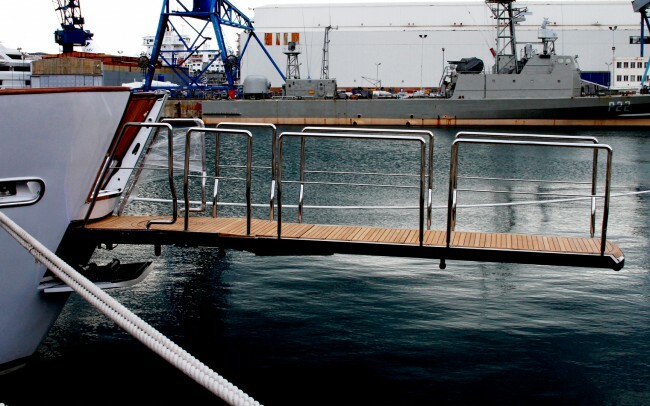 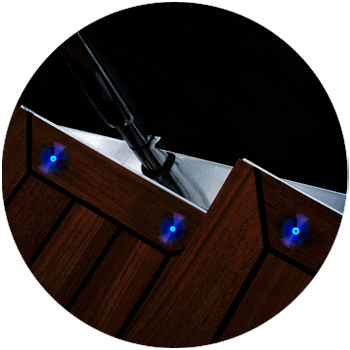 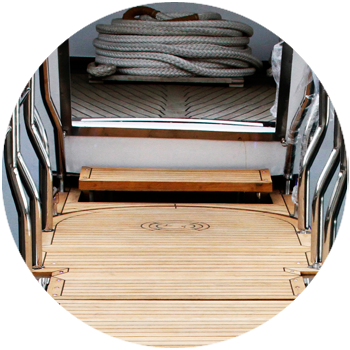 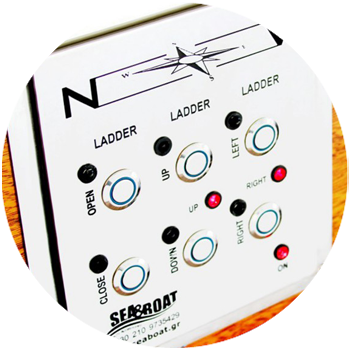 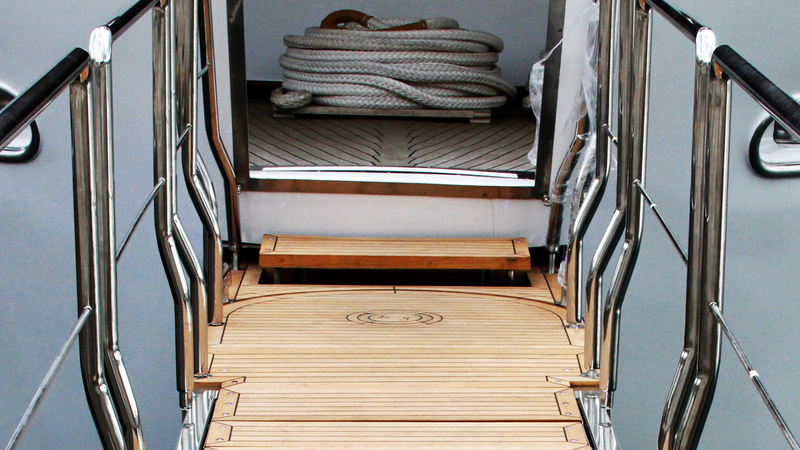 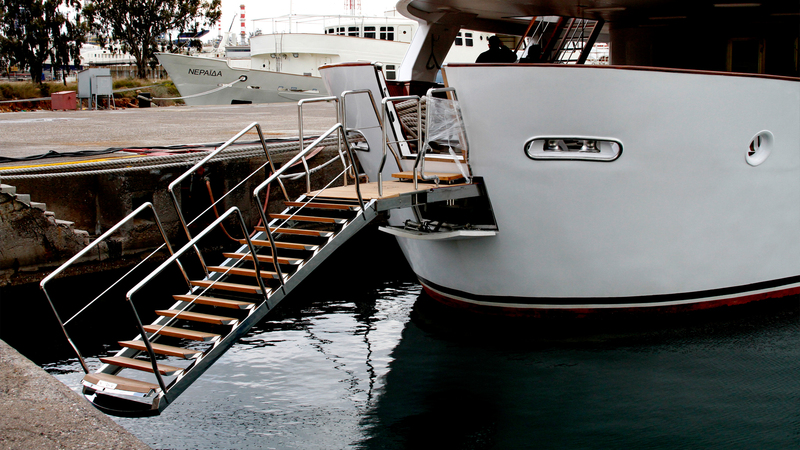 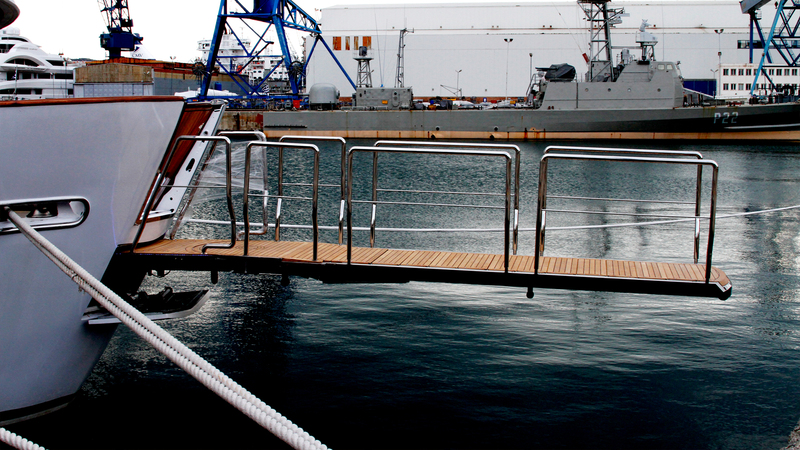 The gangway has the ability to rest on the dock, as it is disposed with rollers and latitude for up movement up to 1 meter. 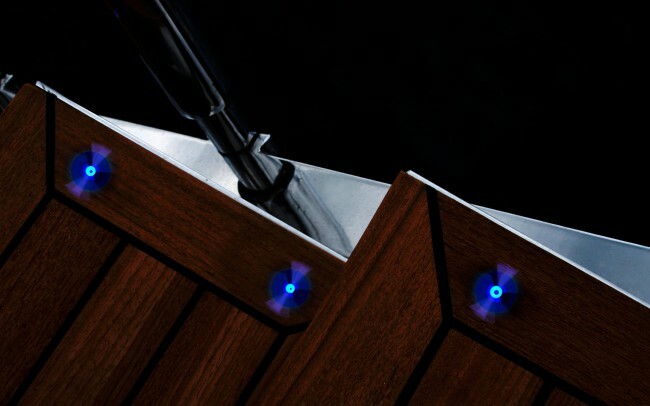 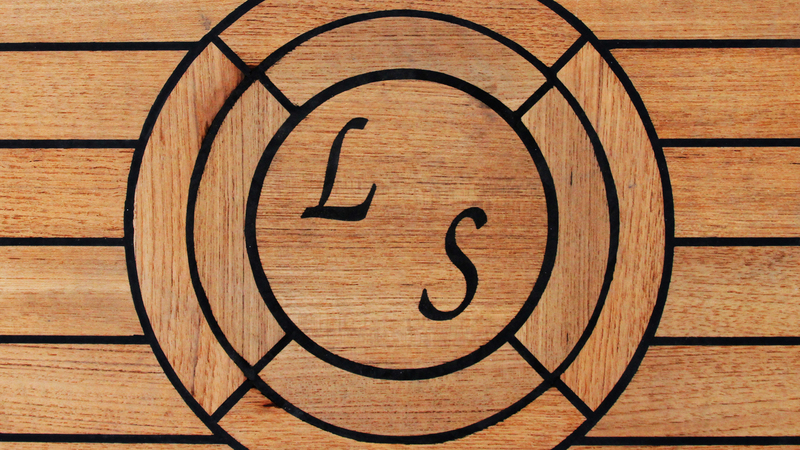 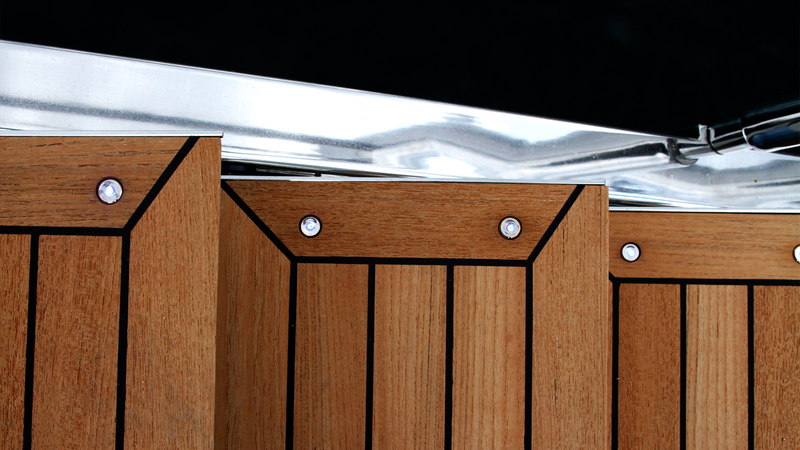 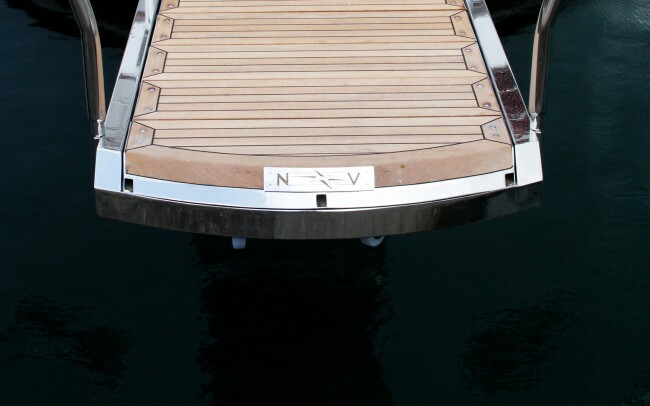 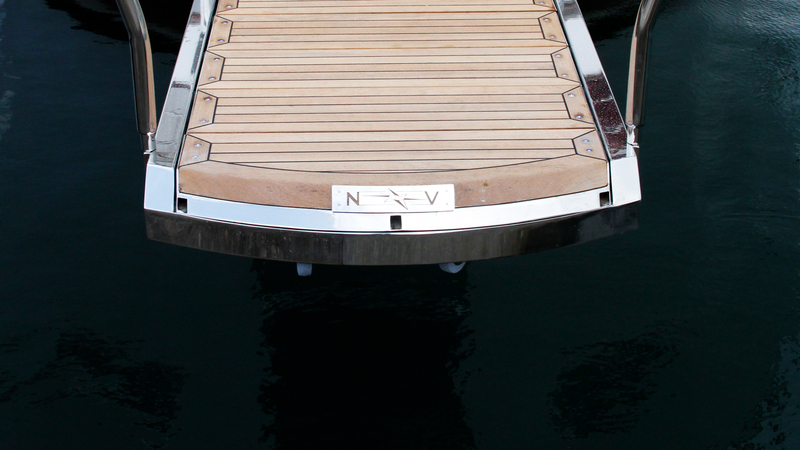 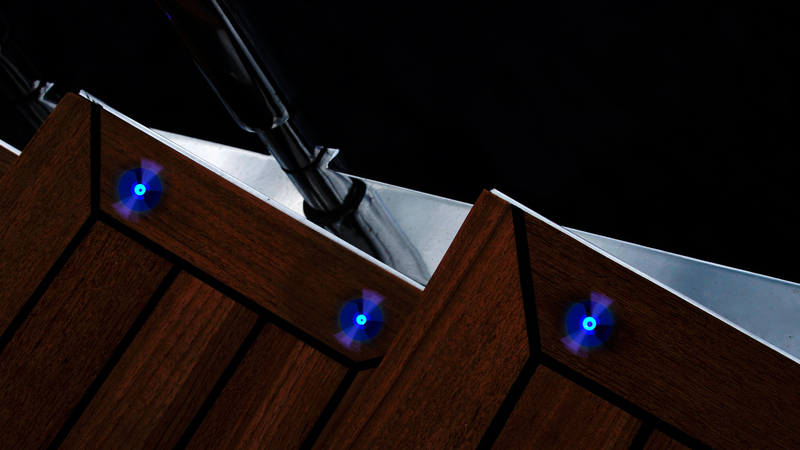 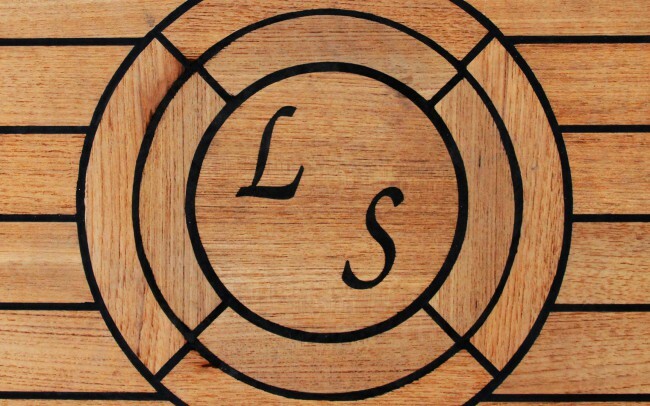 ________________________________________ Custom made according to the yacht’s dimensions.